We supply and install air source and ground source heat pumps. Our service includes in house drilling of the ground source boreholes. Ground loops are sized using a computer program which takes in to account local weather and ground conditions. We do NOT use rule of thumb design techniques. 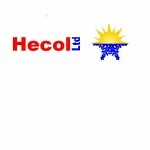 Heacol LTD are renewables installers who supply and fit airsource heat pumps and groundsource heat pumps , and provide access to the renewable heat incentive.